The worldwide platform provides widespread access to modern means of invention. IE School of Architecture and Design’s Fab Lab is now officially a member of the global FabLabs network created by Massachusetts Institute of Technology (MIT). The accreditation means the IE fabrication laboratory, created for students, academics, scientists and researchers from all over the world to exchange their knowledge, joins a worldwide platform spanning more than 70 countries. 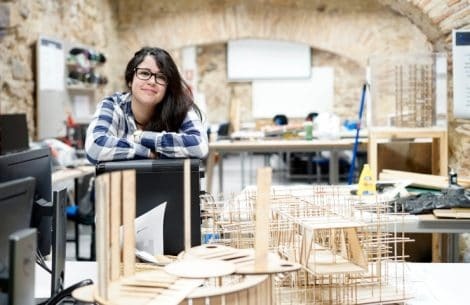 “This platform promotes access to tools and knowledge to educate and innovate through technology, and given that all accredited Fab Labs are equipped with the same resources, this means that from here in Segovia we can manufacture a project that has been developed in Kamakura (Japan), for example,” explains Elena Cardiel, Fab Lab IE University Manager. A Fab Lab is a small-scale workshop designed for digital fabrication equipped with a large number of materials and tools controlled by computer in order to obtain the best results. The Fab Lab IE University has also installed a traditional carpentry workshop to complement its digital counterpart. “This space is an opportunity for students and teachers to learn by doing, creating objects of personal interest that allow us to understand design processes, how things are made and how different materials behave”, answers Cardiel when asked about the Fab Lab’s contribution to the academic development of IE University students. “It is a place for imagination, experimentation, reflection and creation, in which students bring their ideas and designs to life,” she adds. The Fab Lab IE University was set up five years ago as a small workshop with a laser cutter and a 3D printer, growing steadily to include digital and analogue resources that have been made available to students to make models and prototypes. The workshop now has three laser cutters to create 2D and 3D structures, a vinyl cutter for adhesive material to create posters and logos; seven 3D printers to make complex geometric shapes, a large format milling machine (computer numerical control, CNC) for large scale models, structural prototypes and furniture; a high resolution mini milling machine (CNC) for electronic circuit boards and precision parts, a vacuum forming thermometer to create plastic replicas, along with a wide range of traditional carpentry tools. Fab Lab IE University Manager Elena Cardiel explains how each year new resources are added, such as the latest acquisition: a clay 3D printer and an electric oven. “Apart from all these resources, the Fab Lab offers training workshops where we teach how to use the different resources we have safely and responsibly, understanding their possibilities, what kind of objects we can create and how to prepare files (if necessary) so they can be processed by the machines. We also organize other types of workshops, focusing on more specific techniques and materials, such as ceramics, 3D printing and silicone and resin castings, among others, in which participants experience first-hand the materials and techniques, knowledge that then they can apply in different subjects,” adds Cardiel. 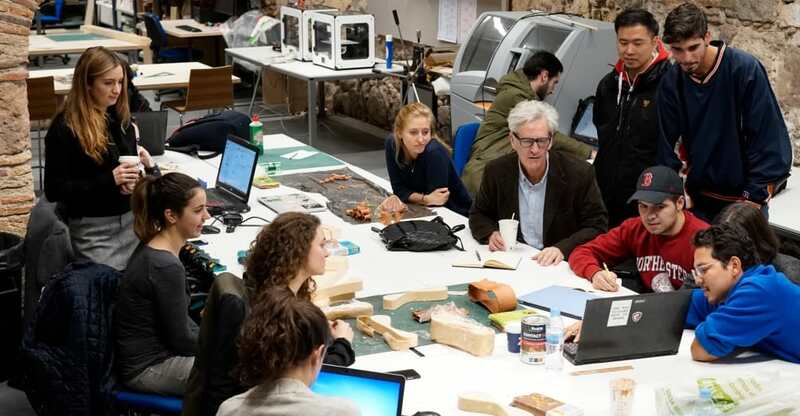 Teachers also participate actively in courses such as the “Fab Academy”, taught by MIT and directed by Neil Gershenfeld, with the aim of learning about the most advanced techniques in the digital fabrication industry. For David Goodman, the director of IE University’s Architecture degree program, the educational value of the Fab Lab IE University is incalculable. “The Fab Lab is an integral part of our teaching model. It’s a place for students to experiment with ideas and prototypes, to explore the possibilities of new and traditional materials, and to develop an attention to craft. The Fab Lab is where our culture of making takes root, and I am pleased that we have achieved this important recognition,” he explains. The Global League of Fab Labs provides open access to modern means of invention. It began as an extension project of the Center for Bits and Atoms at MIT, morphing into the current global collaborative network.